Over/Under: Over 157.0 at 1.90 Bet Now! The Germans take a 10 point lead into this second leg tie after their 99-89 win in Munich last week. That provides some leeway for Bayern but it may help the hosts because it informs that what they need to do. Galatasaray not only need to win this game, they need to win it convincingly, which sets us up for a cracking match on Tuesday night. 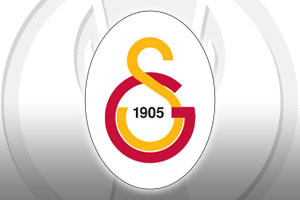 Galatasaray will be looking to avoid focusing on the first leg last week and instead will take greater comfort from their home form at the Abdi Ipekci Arena. The crowd will be noisy and as Galatasaray have only lost one game at home in the Eurocup this season, there will be an expectation that the hosts can overturn the deficit. In their last five home Eurocup games, the Turkish team have triumphed in all of them and have done so convincingly, winning by an average margin of 27.2 points. Bayern Munich will post tougher opposition that many of Galatasaray’s recent opponents, but the momentum may carry the Turkish side onwards. Bayern Munich will know that this week’s game is a very different proposition to last week’s but they will look to take as much confidence from that performance as they can. If they can get Deon Thompson to ignite in the manner that he did last week, with 20 points, 9 rebounds and 2 blocks, they could be in luck. Other big players for the Germans last week were Alex Renfroe, who grabbed 17 points and 5 assists while Dusko Savanovic offered up 19points. Galatasaray had the top scorer on the night, Vladimir Micov with 22 points but with Bayern having a roster full of players that can add points; the Germans are fancied to take this tie. The bookmakers believe that the hosts will win the game, but that may not be enough to clinch the tie. Take Galatasray at -7, at odds of 1.90, and expect a tight finish to see who squeezes through to the semi-finals. For the Over/Under market, look to go OVER 157.0, which you can find at odds of 1.90. Bet Now!